Universal CityWalk is a 30-acre entertainment and retail complex, adjacent to the Universal theme parks and resort and close to I-4 and International Drive, featuring shops, restaurants, bars, clubs and a cinema. One of the best things about Universal CityWalk® is that you can take a bit of it home with you. CityWalk® offers a variety of shops and boutiques where you can pick up a souvenir for the folks back home or buy yourself something that you’ve always wanted. There's stylish apparel to suit you from head to toe, whether you're looking for the latest fashions, novelty t-shirts, hats, sunglasses, jewelry or footwear. You’ll find everything you need to surf the waves or skateboard down the street. You can shop for watches, handbags, cigars, candy, and toys. Many of CityWalk's restaurants have their own merchandise areas as well, so you can stock up on official gear from the NBA, NASCAR® , Jimmy Buffett and the Hard Rock Cafe®. 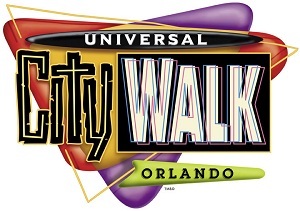 If shopping is your favorite form of entertainment, we guarantee you a great time at CityWalk. Also, if you like movies, CityWalk is the place to be, featuring AMC® Universal Cineplex 20 with IMAX®! The best of Hollywood is showing Universal CityWalk® on twenty screens, including an immersive IMAX* Experience theater. Each theater features all-stadium seating with high backed rocking chairs, and state-of-the-art projection and sound systems. Citywalk is an ideal destination for a night of family fun, a place to hang out with friends, or a romantic evening for couples. In addition to its nightclubs, restaurants, shops and cinemas, CityWalk is also host to a variety of concerts and special events throughout the year. For visitors with an appetite, CityWalk is the place to be with plenty restaurants to choose from. Whether you are craving for a hot dog, or looking for an haute cuisine experience, it's there at CityWalk. Universal CityWalk hosts a lot of (returning) events, but it is also home to the Blue Man Group. If you have never heard of them or have never seen a Blue Man Group show, I really suggest you to buy tickets. This show won't disappoint you, I have had so much fun visiting one of their shows! 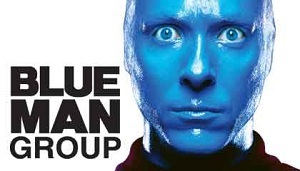 Blue Man Group produces theatrical shows and concerts featuring experimental music and comedy. They use totally original music instruments, use paint, tv screens and interact with the audience. I had a blast of a night! There is only one downside to CityWalk compared to Disney Springs. Admission to Disney Springs is free, but you will have to pay for parking (until 10PM) if you want to go to CityWalk by car, like most of us do. At Disney Springs it is free parking all day long. This is where Universal can learn from Disney. Regular parking costs $20 (car), $22 (RV). If you are a Florida resident, you can park for free after 6PM, but you will have to proof that you live in Florida, by for example showing your driver's license.